Two fresh eggs, hashbrowns, toast & your choice of bacon, ham or sausage. A delicious hamburger steak, grilled to order w/ two fresh eggs, hashbrowns & toast. A juicy steak, grilled to order w/ two fresh eggs, hashbrowns & toast. A bowl of our oatmeal served w/ toast, butter & jam. Two (2) fluffy pancakes, hot off the griddle, served w/ butter & syrup. Three (3) fluffy pancakes, hot off the griddle, served w/ butter & syrup. Four golden triangles of French toast, served w/ butter & syrup. A bowl of our special beef & vegetable soup served w/ rice & corn tortillas. A delicious green chile pork stew served w/ beans, rice & corn tortillas. Served w/ your choice of beef or chicken. Served w/ your choice of dressing. Grilled​ chicken breast on our house salad w/ your choice of dressing. 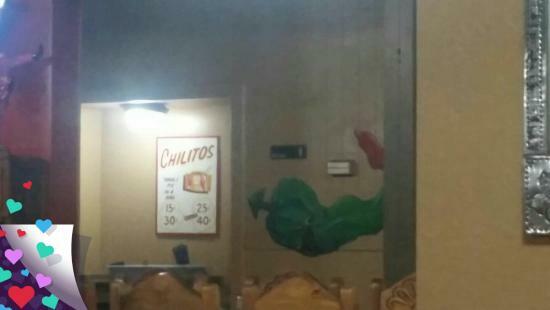 With your choice of red or green chile. 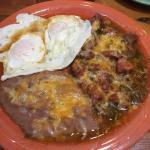 Two fresh eggs served w/ your choice of red or green chile con carne. Two fresh eggs cooked to order w/ delicious spicy Mexican sausage. A red or green chile burrito banado, topped w/ an egg. Prepared fresh w/ your choice of two items. Onion, tomato & peppers in a fluffy omelet, served w/ hashbrowns & toast or tortilla. 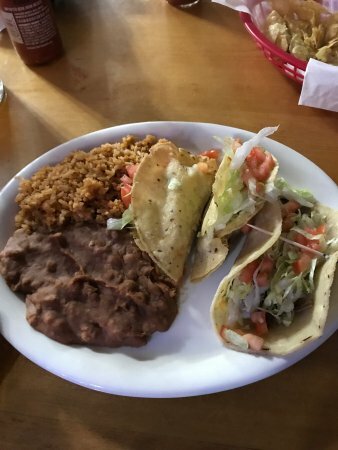 Your choice of red or green chile, served w/ beans & a flour tortilla. 1 fresh egg, ham, bacon or sausage, hashbrowns & 1 slice of toast. 1 pancake, 1 egg & your choice of bacon, ham or sausage. 1 Slice of French toast, 1 egg & your choice of bacon, ham or sausage. A crispy flour tortilla shell filled w/ beans, ground beef, cheese, lettuce, tomato, guacamole & sour cream. 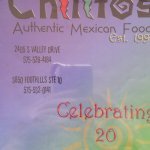 Don’t forget to take home a jar of your favorite salsa today! Gooey, melted cheese on texas toast served w/ French fries or chips. Crisp fried chicken strips served w/ French fries or chips. Served w/ French fries or chips. Tostadas topped w/ beans, ground beef, lettuce, tomato, cheese, jalapeno, sour cream & guacamole. 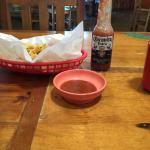 Home cut fries topped w/ your choice of our delicious red or green chile, bacon, cheese & a dollop of sour cream. A popular combination of our jalapeño ranch dip, cheese quesadilla & nachos. 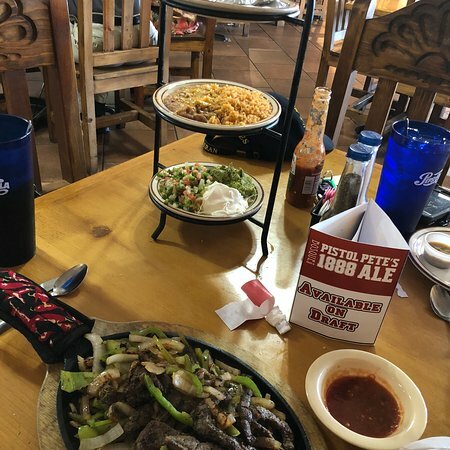 A new Mexico favorite! Cheesy & delicious, served w/ tortilla chips. 2 enchiladas & a ground beef taco. 1 enchilada, 1 tamale, 1 ground beef taco. 1 enchilada, 1 relleno, 1 ground beef taco. 1 enchilada, chile con carne & a ground beef taco. Il Cile è piuttosto salsa piccante - come più di altri posti dove siamo andati in città. Non so se era una notte off per me? Indipendentemente da ciò, era buono. Queso era buono, patatine gustoso. Nel complesso il cibo non era niente male. Le huevos championes rancheros con salsa verde di carne! . . . . Bello, gente cordiale, struttura confortevole e i prezzi sono ragionevoli. Non è un grande fan... ma è OK.
Un sapore di casa. Non sono mai stata qui in 6 anni e ho avuto la possibilità di rientro in. Proprio come ricordo. Non sono certo che si possa trovare di meglio con peperoncino verde carne ovunque in città. Si tratta di una scelta eccellente per la colazione, il pranzo e la cena. I server sono cordiali e normalmente il tuo cibo fuoriesce abbastanza rapidamente. 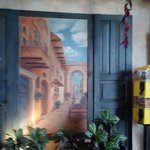 Abbiamo questo ristorante frequente dopo il nostro cortile e immobiliari vendite di sabato. il cibo, soprattutto le Mi mancano anche le enchiladas... sono deliziosi. per coloro che come la birra, hanno una buona selezione. 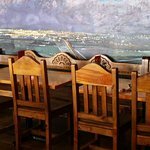 Ricevi risposte dal personale della struttura Chilitos Restaurant e dai visitatori precedenti.